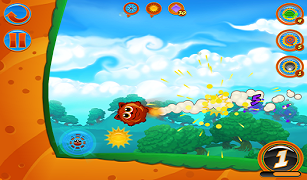 Bombcats explodes onto Android! 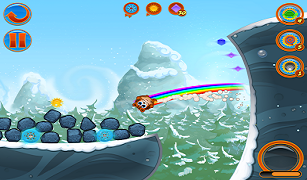 Help Fuzzball and friends rescue the Bombkittens across a massive world with nearly 200 levels. From Radiangames, creators of the award-winning Slydris, Super Crossfire, Inferno+ comes Bombcats! Seven cute and volatile felines ready to explode into action to save their imprisoned Bombkittens. 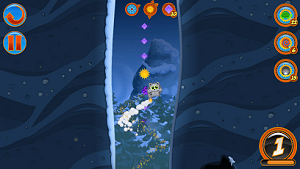 Kitten Rescue - Save the kittens trapped in the magic bubble cages and collect all 3 Suns. 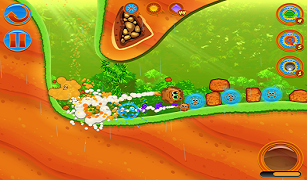 Time Trail - Race through 5 quick sub-levels to save the kittens as quick as possible. 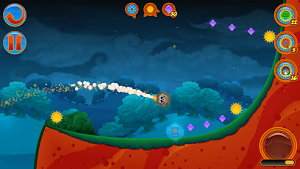 Marathon - You've got some extra jumps and a longer fuse, now use them to go as far as you can. Challenges - A new cat and layout in an old level. You've got limited attempts, so make each one count.